Dutch soprano Nikki Treurniet discovered her love for classical music early, studying both voice and piano from a young age. It was the music of Mozart and Brahms in particular, that inspired her to commit to serious musical studies. She earned her Bachelor’s and Master’s degrees in voice from the Royal Conservatory of The Hague and graduated from the prestigious Dutch National Opera Academy in 2017. Her teachers included Sasja Hunnego and Henny Diemer and she was coached by Peter Nilson, Nathalie Doucet and David Bollen, as well as by theatre coach Peter te Nuyl. As a light lyric soprano with a warm sound Nikki feels at home singing both early and romantic music and enjoys tackling challenging contemporary fare. Her debut on the opera stage was as Zerlina in Mozart’s Don Giovanni in a production conducted by Huba Hollóköi and directed by Sybrand van der Werf, a performance met with high praise. Other roles have included the title role in Massenet’s Cendrillon with the Residentie Orchestra, Gretel in Humperdinck’s Hänsel und Gretel with the NJO conducted by Antony Hermus, Scissors in the modern opera The mother of black-winged dreams by Hanna Kulenty conducted by Clark Rundell, First Elf in Mendelssohn’s Midsummernight’s dream with the Residentie Orchestra conducted by Jan-Willem de Vriend, and Silvia in Mozart’s Ascanio in Alba. In 2014 she served as cover for First Lady in a production of Cherubini’s Medée by Opera2Day. 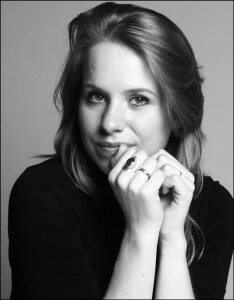 In the 2016/17 season Nikki made her debut at the Dutch National Opera singing the role of Anima Ingrate in Il ballo delle Ingrate, part of the Monteverdi Madrigals staged by Pierre Audi in collaboration with Les Talents Lyriques and Christoph Rousset; this production was also performed in the Brighton Festival. Nikki has an extensive concert repertoire which she performs regularly, including Bach’s St. Matthew’s Passion and St. John’s Passion, Weihnachtsoratorio and several cantatas, Brahms’ Ein Deutsches Requiem, Händel’s Messiah and Mozart’s Requiem. This summer she was guest singer with The Royal Concertgebouw Orchestra singing Mahler’s Symphony No. 4 in a masterclass for conductors led by Danielle Gatti. She has participated in festivals such as Opera Dagen Rotterdam, Grachtenfestival Amsterdam, De Nederlandse Muziekdagen, and the NJO muziekzomer. During the summer of 2018 Nikki will sing Pamina in a production of Die Zäuberflote by Holland Opera. Other future engagements include Mrs Nordstrom in Sondheim’s A Little Night Music with the Nederlandse Reisopera which will tour in March 2019. After making her debut at the Zaterdagmatinee with the soprano solo in Saint-Saens’ Oratorio de Noel conducted by Ed spanjaard, she’ll return to the zaterdagmatinee in Het Concertgebouw singing Ginevra Scotti in Schreker’s Die Gezeichneten and the role of Sorge in Schumann’s Szenen aus Goethes Faust. In september 2017 Nikki won several prizes at The International Vocal Competition in ‘s Hertogenbosch, amongst other the Opera prize of The Netherlands. Nikki is strongly committed to the performance of lied and has given song recitals in various halls in The Netherlands together with pianists Andrea Vasi and Daan Boertien, including a preconcert performance for Anne Sofie von Otter in the Muziekgebouw aan ‘t IJ and a recital in The Grachtenfestival. In 2016 she joined Trio Cortado for a set of performances including a special arrangement of Schumann’s Frauenliebe und –Leben. Nikki currently resides in The Hague.